All the students pass educational, industrial and predegree practice. At the end you have to write a report, fill in the internship diary and provide feedback from the head of the organization where you interned. Requirements for writing a report usually has the Department or the Dean. And here's a review (or description) the student sometimes has to write itself: it can ask the head of the practice with the words, "I have no time. You write, and I'm going to correct". How to write an internship report. A single sample of opinion (and even the title of this document) does not exist. You can label it "Opinion of the trainee, Feedback-testimonial on the practical training", "Opinion of the head of the practice." The text is written in an arbitrary form, but must be printed on official letterhead of the organization, which served as the basis of practice. In the beginning of his opinion responsible for the practice entity specifies who (your name, group number, faculty and University) internship (educational, production and predegree), where (in what Department or organizational unit or enterprise) and when (exact time of your stay there). Next, you need to outline your duties, the performed tasks and assignments (reviewed the structure of the organization, examined the normative documents, developed a draft, etc.). Try to articulate what knowledge, skills and abilities have been acquired by you during the internship. Now to give the Intern (i.e. to him) feature. Usually this part of the opinion begins with the words "for the time, he showed himself as...". Mark your positive business qualities that you think are really manifested while working in the company or organization. You might mention the quality of jobs, responsibility, compliance with labor discipline, the ability to work in a team, etc. At the end of the internship supervisor must specify how commendable his ward. Printed opinion must be certified by signature and seal of the organization. As a rule, the opinion about the passage of the student practice takes no more than one page. Opinion along with other materials about the internship in a timely manner surrenders to the Department or to the Dean's office. Like any official document, review of the internship involves the business style of writing. Report on the practice is the work of the student, which objectively shows the results of theoretical knowledge and practical skills during the internship period at the company. 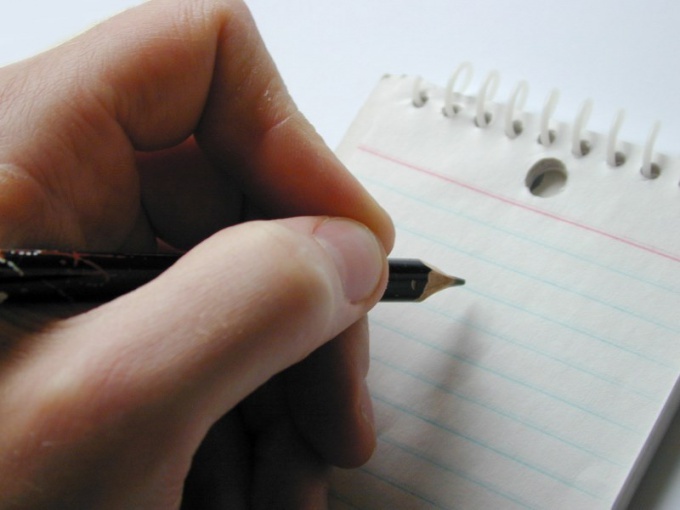 Opinion, or report for practice, write as a rule, either during its passage or after. In the review of the practice note where it took place, the time, who was the head of the practice at the enterprise. Specify the goals for practice, your supervisor in the school, in what ways they were achieved. Describe the activities of the enterprise as a whole. For this you will need the assistance of the company's management, as they have access to information that would be required to analyze the operation of the enterprise. If you write a report on practices in the field of Economics, analyze the financial activity of the enterprise, determine profitability, calculate key ratios, understand, and reflect in the opinion performance indicators. All this make on the basis of statements kept by the chief accountant or the Director. If the report for the faculty of management, describe the structure of the enterprise, analyze personnel structure and the basic methods used for the management of staff, tell us about the corporate culture. For report on marketing please describe the marketing activities of the service, if it is in the enterprise. Analyze the market in which the company operates, research the competition, the demand of products or services, marketing. The faculty of accounting and audit will consider the methods used for accounting, don't forget to include taxes paid by the company. When you write a review on jurisprudence describe the activities of the structures based on which was held the practice, in addition, be sure to check the codes on their specialization. In their report on the Humanities will review and explore a specific topic set by the lecturer at your institution. Describe the relationship with the team, the head of the practice, as you perceived by other employees. Next, write about what new information you received during the internship, what you found interesting, and what difficulties arose. Decided whether the tasks? Make a conclusion, expressing the overall impression of the practice. Write a review during the internship, you will describe your activity accurately, do not miss the main, and, if necessary, will be able to correct the work. Training in many colleges and higher educational institutions includes the period of practice. Practice students can take in various enterprises, factories and companies whose activity corresponds to the specialty of the student. Regardless of the nature of the practice, on the expiry date of the management of the company or enterprise should be review for the student. This usually arises many difficulties. The easiest way is to ask the student to write yourself a reviewand then just put underneath the painting and printing company. However, this approach choose only the most lazy and optional heads. If you take a student to practice, then allocate 10 minutes of your time and give truthful and objective characteristics of his work. Feedback on student written on the official letterhead of the enterprise, i.e. on the form with the details of the company. First you write the surname, name and patronymic of the student, who practiced at your facility and the number of his student card. The cap also shows the actual duration of practice (for example, on 12.05.2011 12.07.2011). He below written opinion, which must describe the work performed by the student in the enterprise, as well as to characterize his working qualities. In the first paragraph you must describe what kind of work was carried out by the student during the internship period. Please specify what work was performed by the students personally, and some in a team. You must specify all types of works that correspond to the future profession of the student and also the subject of practice. Various errands such as buying office supplies or making coffee to indicate it is not necessary. The second paragraph should include the feature of working as an Intern. Showed whether the student their performance and discipline, whether his knowledge and skills in their chosen profession. You don't need to go into the personal qualities of the student, because you are official document. To compile this part of the reviewand there are the standard clichés and stamps. The third and final paragraph of the opinionand the student must include the final grade the completed practice. To evaluate the performance of the student needs on a scale of "excellent", "good", "satisfactory", "bad". As for the standard amount of opinionand a single sheet of A4. Review written 12-14 font, spacing - one and a half. As a rule, at least once in the learning process in high school students pass an industrial practice. Usually it ends the penultimate year of study. Practice can take place in the company, a private firm or Institute the Department, but the results of its student necessarily provide the opinion leader who oversaw his work on the production. There are a number of requirements to its writing. Specify the full name of the organization where the student did an internship and student personal data: first name, last name and first name, student ID number, the timeframe for completing the practice, the name of the Department or division, with which he was familiar. List the types of work that have been commissioned and performed by the student. Separately, list all those projects on which work was carried out by collective efforts. These works can be divided into two categories – those entrusted to and carried out at the beginning of the passage of an industrial practice and those that performed them at the end. It will show how the increased qualification, degree of preparation, and the responsibilities of the future specialist during practical application of his knowledge. Describing the work, tell us about performing ad hoc assignments, the duplication of functions under the supervision of the employees and self-fulfilled orders. If the student performed the assignments of high complexity implemented with your permission, our own development and solutions to increase productivity or quality of labor, briefly reflect their essence and assess his work. If it has been entrusted with any management functions, it will also reflect in the opinionof E.
Tell us about the communicative skills of the student: he worked in a team, easy established relationships and contacts, the nature and style of his communication with colleagues. Please rate the degree of student tell how fast he's learning with new responsibilities, does the experience of colleagues, does it need to be in control. Describe his business skills – initiative, responsibility and accuracy, learning ability, the desire to acquire additional knowledge and skills. Write your opinion about the student – what are his chances of being accepted in your organization when vacancies occur, what types of work would you have him charged. Sign opinion the Director and head of practice, putting the position. The signature must be certified with a company seal. As a rule, in the process of learning in the University, all students pass an industrial practice. Typically it completes the penultimate year of study. Practice can take place in various enterprises, private firms and even at the Institute's Department, but the student must obtain from the Manager who oversaw its work, the review of the results of the practice in writing. Written feedback from the faculty supervisor. There are a number of specific requirements for writing the review. The Director is obliged to specify the full name of the organization where the student interned or personal data of the student: name, surname, patronymic, student card ID number, period of internship, the name of the division or unit in which he interned. You must list the types of work that has been entrusted to the student. Also, separately lists the types of work in which the student participated along with the team. This will show the level of skill and responsibility of the future specialist in the process of practical application of his knowledge. You should describe the work, functionally duplicated under the guidance of employees of the company, and those carried out independently. If the student was able to perform a very complex task, which allowed to improve performance or quality of work, be sure to mention it in the review and give rating. If the student was assigned managerial functions, it is also better reflected in the opinion. The next item you can mark the student's communication skills: teamwork, relationship and contacts with the workers, the nature and style of communication among colleagues. The head is necessary to establish the degree of training of the student how quickly he mastered with new responsibilities, based on the experience of colleagues, whether to control it at the same time. Also, a review is recommended to describe the business skills of the student – initiative, punctuality, responsibility, ability to learn, the desire to acquire additional knowledge and skills. 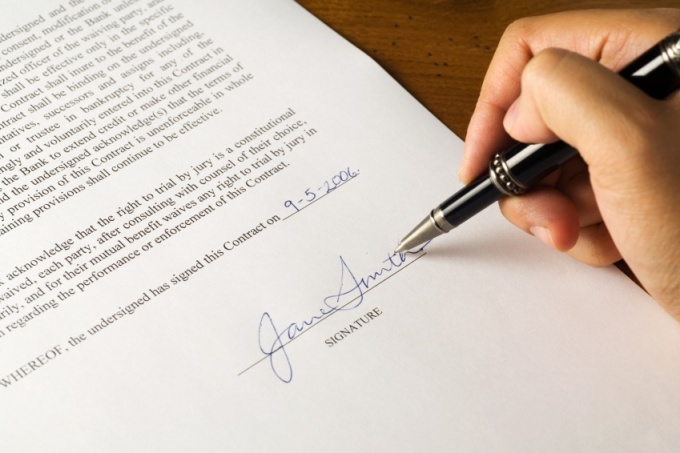 The opinion must be signed by the company's Director and practice leader, it must specify the position. The signature must be under seal of the company where was held the practice. Commit work Surname, Name, Patronymic, carried out conscientiously and carefully. Showed himself a disciplined and responsible worker. Showed a good level of theoretical knowledge, skillfully applied knowledge in practice. Evaluation of internship Surname, Name, Patronymic of "excellent". If the student is not working at this company, the attitude is formal, and a young professional, no one in the course of the case, as expected, does not seek to enter. In addition to practical knowledge the student must acquire the information about this company that had a practice that must be reflected in its report. For many specialties, to consolidate the theoretical knowledge during the training, you need to do an internship in a public or private organization. The number of employees student is assigned a supervisor who monitors performed Intern work, and then writes a review on past practice. How to compile this document correctly? Start collecting information for the reviewand during practices. Take note of the strengths and weaknesses of student work, as well as those specific duties that you performed in your organization. Write the text of the opinion. Clear form this document, but there are the required items. First enter the surname, name and patronymic of the trainee, then the name of your organization, Department, where he worked and the period when practice was held. Can also specify a specific position which was held by the Intern, if applicable to a specific situation. Then describe the scope of work, which were attended by the Intern. For example, a student who is to practice in a law firm, may participate in the drafting of documents, to be present at the communication of the lawyers with clients, and so on. Specify the specific knowledge that the student obtained in practice. 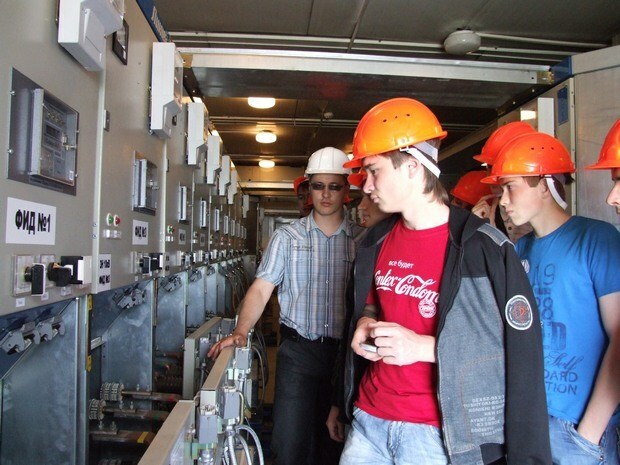 For example, the student-engineer, passing practice at the factory, you can write that he became acquainted with the complex production processes and gained knowledge about the modern company. At the end of the text give your opinion the work of the student. Evaluate his theoretical knowledge, diligence, desire to learn something new, the motivation in work. Also Express your opinion about the assessment, where the student deserves. In this section are valid not only praise but also constructive criticism that will help future specialist in professional formation. After reviewand write your surname, name and patronymic, position and signature. Then the document will be signed by the head of the Department or organization and to assure the paper seal. You will then be able to convey opinion or personally to the student or to the Dean of his school. Some departments leave the responsibility of writing the text to the student. It should be noted that they deprive the student of a very important part of practice - third-party evaluation of its work. So if you can write a review yourself. Many students, in accordance with the training program, pass an industrial practice. And to obtain credit or assess this type of learning activities the student must provide a review or feature for the practice. But how to make this important document? To make the text have the head of the practice, but in some cases, he trusts it to the student. Regardless of the real author, the opinion should be issued on behalf of the Manager. Start writing a text header. It should be indicated the title of the document - "Review of pre-diploma practice", or more, if a student learns nothing from last year. You also need to specify the full name of the organization, its form of ownership and legal address. Information can be gleaned from any official legal document issued by the organization. In the main part of the text describe what the student during practice - his office and the functions that he performed during his work. Next you need to specify a time frame for practices with up to date, then the opinion of the head of the practice about the theoretical knowledge of the student gained at the University. It should be noted not only advantages but also disadvantages of the theoretical framework of the probationer, if any. Then, you should develop a theme of practical skills of the student, for example, the ability to work with the documentation, the necessary computer programs, and so forth. Here, too, we need to talk about the strengths and weaknesses of the student. Next, on the basis of the work describe the quality of the student, which he showed. It can be as personal characteristics - interpersonal skills, punctuality, and professional - ability to work in a team, learning and so on. The supervisor must give an adequate evaluation of the student's work during the practice, taking into account all aspects described in the previous part of the opinion. At the end of the opinion the head should put the date, your surname, initials, title, and signature. Then this document needs to be certified in the management of the enterprise or the head of Department if the organization is very large. Each student during training in average special or higher educational institution is obliged to undergo practical training in the chosen specialty. The teacher, who practiced it, had to write a review for future colleagues. Specify the surname, name and patronymic of the student, the University or College in which he studies, his course and specialization, as well as the database of internship: name of institution, class. Describe the knowledge of the present curriculum a student, his ability to work with them. Rate the ability of future specialist to carry out the lesson link theory with life, to allow educational objectives, the ability to influence the minds, feelings and will of the students. Write about the skills of the trainee to organize the work of children, to focus their attention and strengthen their mental activity, to generate interest in the study of the lesson material. Pay attention to how the student is able to carry out individual work with children, to prevent underachievement and gaps in pupils ' knowledge. More detail on the extent of formation of skills to organize extracurricular activities with children and cultural-educational work with parents. Mark the positive side and the main problems encountered during the pedagogical practice of the student-trainee. Express the attitude of the student work and the degree of discipline. Rate for the entire period of practice. You can inform us the address of this pedagogical institution, try to formulate them clearly, concisely and in a detailed manner. Put a personal signature. Also in the opinione of the student-trainee must sign the school Director and to assure him with the seal of the educational institution.